Dr. Don Wagner invited me to join him on his radio show once again! He's such a pleasure to work with and I'm always grateful to get the opportunity to do his show. This time we breakdown the topic of vitamin D and its role in maintaining excellent health. As you may or may not know I'm one of the few pharmacists in the field of conventional medicine who's not a fan of pills whether they're obtained via the prescription pad or from buying them over-the-counter. I believe America has a pill obsession and it's only making our health worse. Instead I focus on educating others on the benefits of plant-based nutrition and lifestyle medicine which is why they call me the Plant-Based Pharmacist. With that being said vitamin D is one of the few supplements/medications I feel everyone should seriously consider taking but only if their levels are low. Dr. Don and I do our very best to get to the bottom of this topic in the segment below as we provide some key insights into the world of vitamin D as it pertains to achieving a state of optimal health. I hope you find the show enjoyable and helpful! 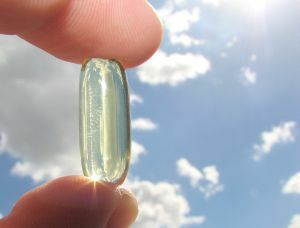 My article on How To Feel Vitamin "D"errific!